So day two of no coffee is definitely going better than day one. If I had to attribute this to one thing, it would probably be that I forgot I was not drinking coffee anymore, and had two cups before I remembered. But either way, I feel better. Also, this would have been a very bad day to not be drinking coffee as I’m five feet away from a Nespresso machine, and really who needs sleep ever again? Not me. Now I’m just sitting at my desk chewing on pink pepto bismol tablets and wondering what happened to my potential. I have surprisingly few ideas on this. 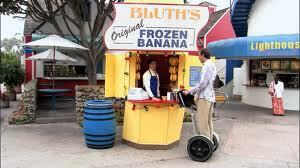 This weekend would probably be a major bummer for me, considering how effed up last year’s Memorial Day weekend was, but this year the universe has given me the world’s greatest diversion – 15 new episodes at once of Arrested Development streaming on Netflix. I seriously cannot wait. I will probably binge watch the whole thing and not leave the house. If you have not seen Arrested, we probably are not friends, because honestly, why? You’re killing me, Buster. It is one of the best, funniest television shows of all time and I am so happy about this you would think I was making money on it. The show has been off the air since 2006, but I’ve never stopped watching it so I’m thrilled there will be new material. It is unapologetic in its humor. I doubt there will ever be another show that includes a reboot of both Chachi and the Fonz, the Blue Man Group, offensive urban puppets, Cornballing, hooks for hands, secular pleasure, making pop-pop, Saddam Hussein and Bob Loblaw’s Law Blog. I mean, come on! Coffee = Blood. You replenished yourself, that’s why you felt better. 🙂 Looking forward to Arrested Development on Sunday, too!